"He broke his pelvis last year but the vets did a remarkable job. 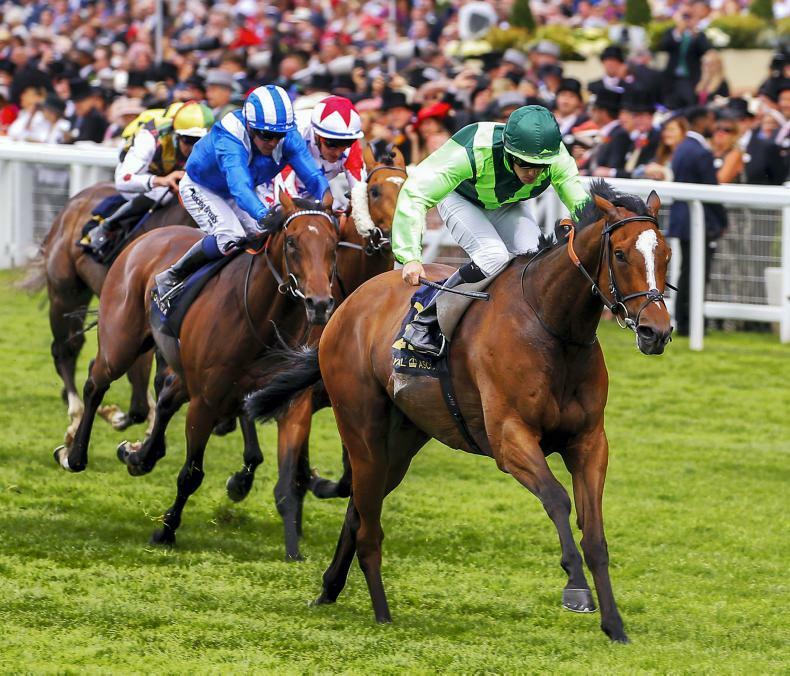 We knew he was a group horse and we’ve had this race in mind for a long time"
ANYONE backing David Marnane’s Settle For Bay in the Royal Hunt Cup had few worries from two furlongs out. Not only was he still travelling powerfully for Billy Lee towards the middle of the track but his bright green colours were unmistakable. This was a well-executed triumph in one of the hottest handicaps of the year. Successful in three races at Dundalk late in 2017, Settle For Bay, 16/1, had been rested until reappearing at Leopardstown last month, where he stayed on quietly into fourth in a good handicap. He raced off the same mark of 99 here and was simply too good, racing in the main group towards the stands’ side and hitting the front before the furlong marker. Afaak, impressive at York, tried to challenge but went down by over two lengths, with Circus Couture and What’s The Story next.